It can be very hard to rouse a watch snob. Even if you have a Rolex Submariner, one of the most desirable watches to own, they're often not impressed because its hour hand resembles a Mercedes emblem instead of a snowflake, or it has guards around its crown. But that doesn't mean you're out of luck. When a watch snob studies a watch, there are usually a few things at play: the movement, the size, the influences, the features, and general design touches—as far from garish as possible. And contrary to what some people on forums might say, you can do pretty well under $500. If there’s one brand that’s known for producing respectable automatic watches at a low price, it’s Seiko. While it's certainly known for its cheap digital watches, the high-end Grand Seiko line is proof of mechanical prowess. All this trickles down to its more inexpensive movements. The Seiko 5 series has been around forever and just pain works. All these are solid, but keep an eye out for the "Made in Japan" ones if you can get them. It’s a paradox that eschewing absolutely every frill and style is sort of a frill in and of itself. Classic military watches are a great example of that. With no nonsense designs, the Military Watch Company recreates these classics, many of which have automatic movements. This automatic field watch throws it back to classic IWC mil-specced pieces, and isn’t too big. Many watches try to be something that they’re not. Sometimes, that’s alright, if it’s a nice homage to a classic that doesn’t disrespect it. But it’s always cool to see a watch flourish in its own right without being a copy. The Seiko SKX007K has been around for ages and achieved a huge following as a solid tool watch. It’s an actual Diver’s 200m, which means it’s pretty much bombproof. People don’t get Rolex Submariners (a similarly specced tool watch) and beat the s*** out of them. They get a Seiko, which does it without breaking a sweat. When a watch enthusiast looks at specs, one of the first things that comes up is what’s inside. In general, China < Japan < Switzerland, and the most common Swiss movements come from ETA, which is what’s inside the Squale 1515. And Squale has history of extremely legit diving watches. 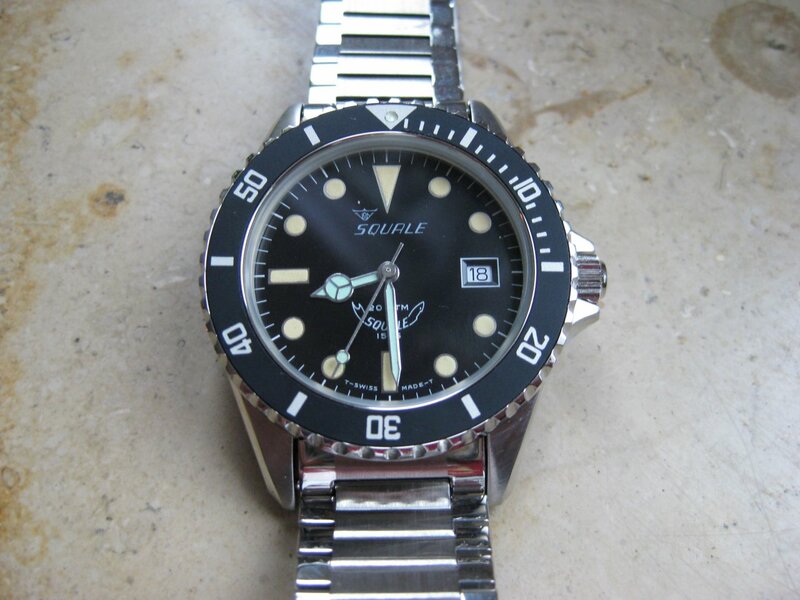 Many Squales are a bit over $500, but you can often find a 1515 reference (a Submariner homage) for a nice price. Complete with all the classic dive watch trimmings (screw-down crown, unidirectional bezel), the Squale has an ETA 2824-2 loaded inside, giving it that sweet Swiss time. And most importantly, it resists modern design trends and keeps things where they should be at a 40-millimeter size. It might have a Pennsylvanian beginning and English name, but Hamilton has been Swiss since the 1960s. Known for its field watches, Hamilton uses classic utilitarian aesthetics and ETA movements, creating sensible outdoorsy masterpieces that last. Automatic, and loaded with some solid water resistance, the Khaki line is a classic. Standing next to its military brothers (the field watch and the dive watch), the pilot watch is another classic model that doesn’t have to trespass into the thousands to get respect. Designed as standard issue, the pilot watch design is simple, easy to read, and durable. 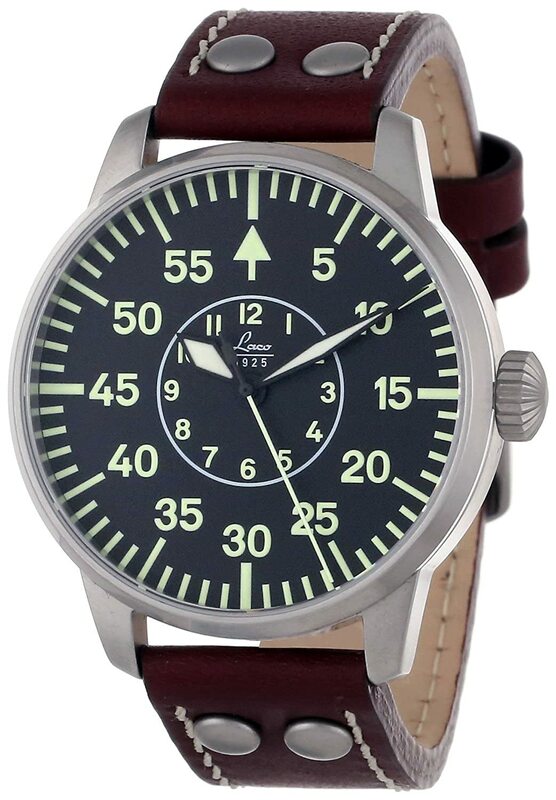 The German take from Laco has a lot to love, from its type B dial—note the center circle with standard numbers—to its in house movement, the Laco 21. Like the classics before it, Laco keeps the luminance high on the numbers so you can read it at night and doesn’t mess around with the date. Ethan Wolff-Mann is an editor at Supercompressor. He frequently keeps track of time. Follow him on Instagram.